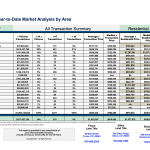 Market Analysis by Area for July 2016: There were 215 transactions and $104,621,918 in monetary volume. 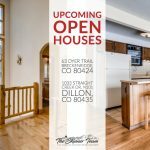 Average transaction price for all 18 reported areas: $492,978, Average residential price, $513,101 average residential and PPSF at $361. Year to Date Market Analysis (7 months): Monetary volume was $638,127,710 with 1173 transactions. Average transaction price: $554,196, Average residential price: $562,664 and PPSF: $364. Market Snapshot for Years 2016 vs 2015: Average Indicators for $: Single Family +10%, Multi- Family -3% and Vacant Land -6%. Median Indicators for $: Single Family +8%, Multi- Family -1% and Vacant Land -9%. Market Analysis % Change YTD 2016 Data (7 months): Monetary volume ($104,621,918) in July was down -11% compared to July 2015. Number of transactions (215) was up 6% in July compared to July 2015. YTD 2016, monetary volume down -3% compared to YTD 2015 and transactions are also down only -3% compared to YTD 2016. 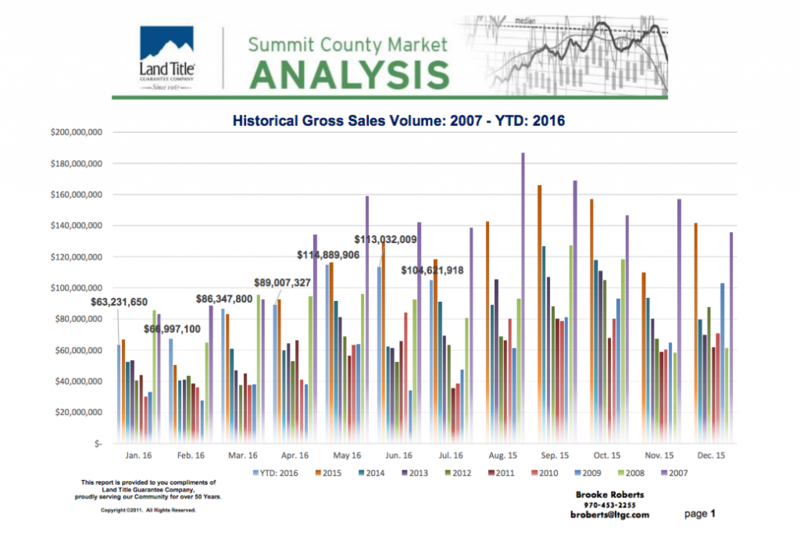 There continues to be a shortage of inventory in Summit County. 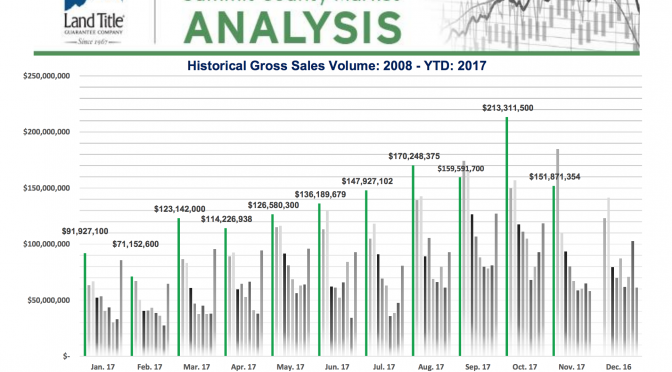 Residential Market Sales by Price Point: Residential volume in July had 176 transactions with $90,305,771 gross volume. There were 21 properties that sold for $1M and above in July. The most active price points were between the $200K-$400K (71) range this month. There were 45 Single Family, 131 Multi-Family and 18 Vacant Land transactions in July. Comparative Historical Cost Analysis ( 7 months): There were 992 residential transactions and $558,162,218 volume with 99 properties selling for a $1M and over-compared to 2015, there were 959 transactions and $519,352,800 gross volume, 89 properties at $1M and over and in 2014, there were 782 transactions with $318,435,356 gross volume, 65 properties at $1M and over. 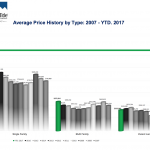 Average Price History by Type (7 months): Average price for residential Single Family: $970,716, Multi- Family: $355,905 and Vacant Land: $365,083. Top Lender Graph: There were 462 loans in July, 64% of the loans were related to sales, there were 137 REFI’s and 187 loans were timeshare related. 36% of the real estate closings were cash transactions.  Market Highlights: Please see page 10 of the Market Analysis-Higher priced sale in July (Shock Hill). There were no bank sales in July. Foreclosures: There were 7 foreclosure actions in July 2016 compared to 12 in July 2015. There are only 29 foreclosure actions YTD. Purchaser Profile Abstract: Upper end purchasers totaled 22 in July. Our buyers for real estate transactions were the Front Range demographic at 34% of our market, 34% are “local” and 31% are out of state buyers (Check out the new section this month with the Out of State Buyer’s breakdown on page 15! ), with 1% International. Land Title New Development Summary: This (page 16) shows all the new construction each month with 9 in July.